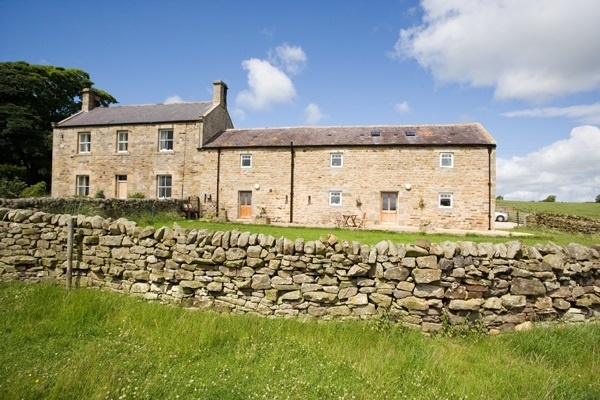 Carr Edge is a working beef & sheep farm nestling in 700 acres of pastures and woodlands. overlooking the South Tyne valley, commanding spectacular views of the North Pennines and surrounding National Park areas. 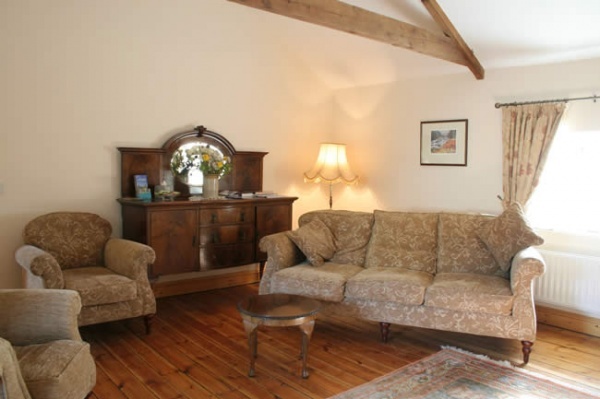 Enjoy a warm welcome to this skilfully converted late 18thC Granary attached to the farmhouse. Whilst retaining many of the original features, the accommodation offers spacious en-suite bedrooms and upstairs guest lounge. A ground floor bedroom with wet room is located next to the stone flagged dining room where traditional farmhouse breakfasts are served. 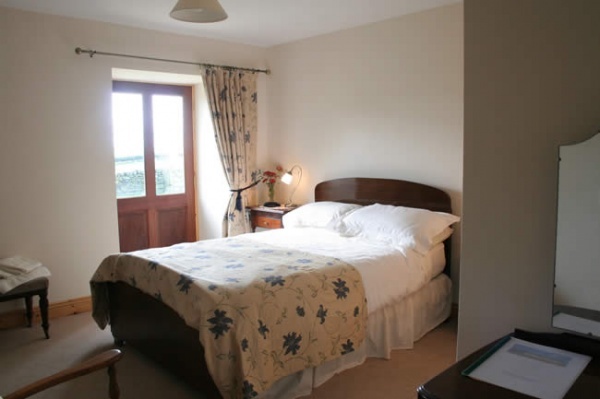 Situated 1 mile South of Hadrian's Wall, offering a perfect location to relax after a days sightseeing, walking or cycling. Boot room and drying facilities are available. Leaving the A69 behind we are located off the (B6319) Stanegate Road. Close by are the historical and picturesque market towns of Hexham and Corbridge, Hadrian's Wall and cycle route 72. 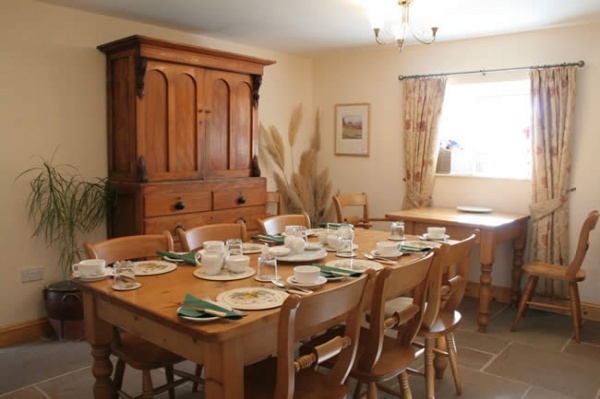 We are ideally situated to visit the Northumberland National Park, Castles and Gardens. Visit Kielder Water for outdoor pursuits and has been awarded a designated Dark Sky Friendly area. Within easy drive of the Scottish Borders, the East coast attractions of Bamburgh, Holy Island and the Farne Islands. We have teamed up with local artist Jane Veitch to provide art workshops for guests, details for bookings on request. Further afield trips to Durham, Beamish Museum and the lake District are all well worth including on your list of places to visit. Sandie gave us a wonderful welcome when we arrived at her farm. Their location is amazing with views in all directions. We had a very spacious room which was very comfortable and a large bathroom too. Extra touches like fresh milk were very welcome. Had we been staying longer we could have used maps, games, DVDs, the huge screen TV in the guest sitting room. The enormous and tasty breakfast the next morning was enough to last us all day!! We were walking Hadrian’s wall and this was our second nights stay. Lovely room, warm welcome in idyllic countryside. It is slightly hard to find but in effect it is only 1.5 miles over the fields from Hadrian’s wall path. Worth the detour. Lovely big guest living room with tv and lots of books. And a bath! The only bath we had during our walk and this is really nice when you’ve been walking all day. Sandie Gibson is a wonderful host. This B & B, set on a working farm in the beautiful countryside, offers everything a traveler could want. Sandie was welcoming and knowledgeable, the room was beautiful and comfortable and the breakfast was a feast! Sandie was a great host to this most beautiful of farm b & b's. It was lambing season so the activity was quite interesting as well as entertaining. Sandie was warm and inviting and served a breakfast fit for royalty. The room was spotless clean and comfortable. Thanks Sandie......hope to return.